Happy Saturday, blog friends! I hope that you are having a lovely weekend so far! 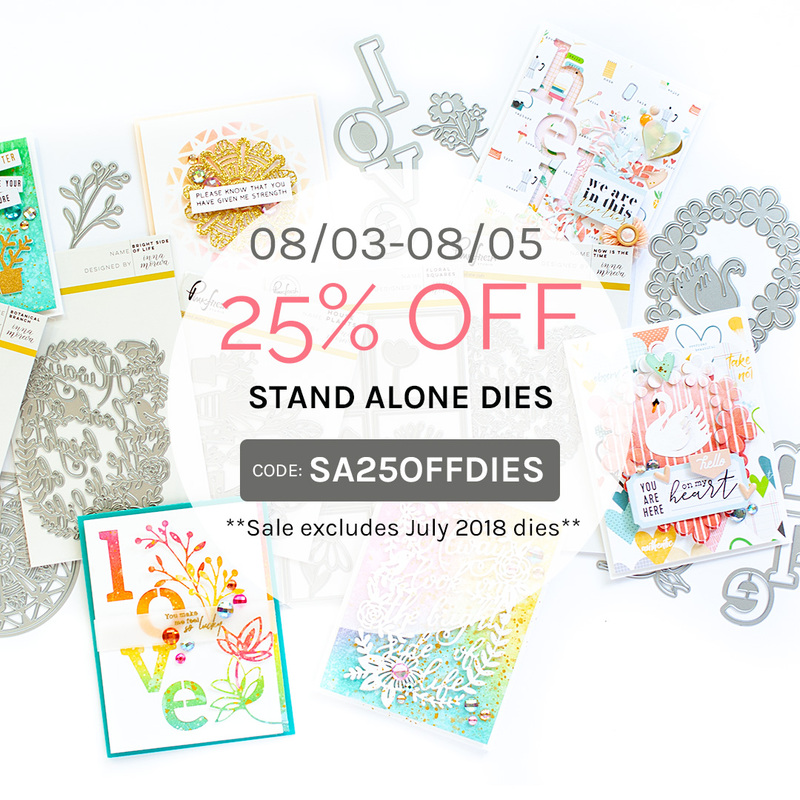 I've got a somewhat long post for you featuring some cards using the words with Botanicals dies from Pinkfresh Studio. 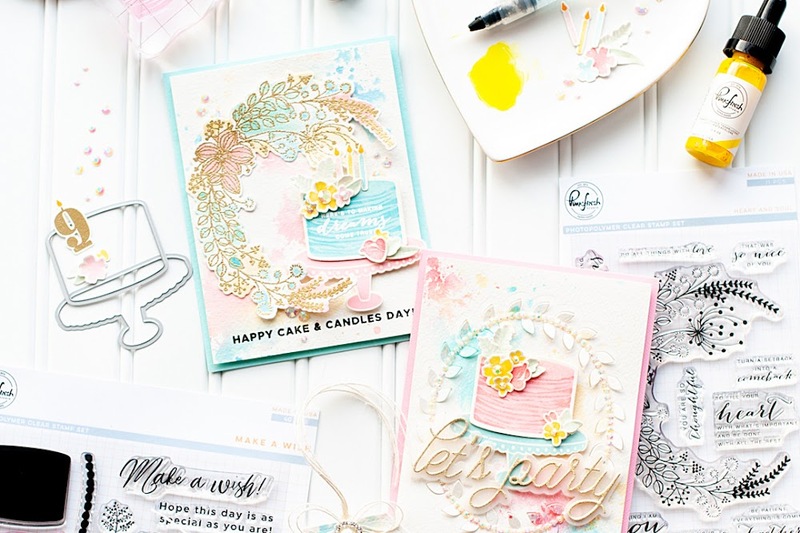 I created these cards for the Pinkfresh Studio website back when these dies released, but realized that I never blogged them. So, I thought I would share them today! 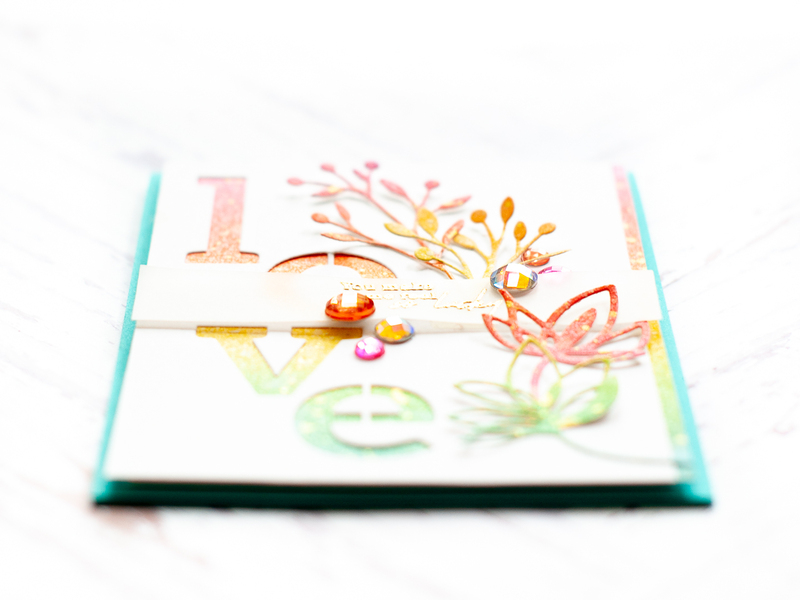 I am going to go in alphabetical order, so up first is my card using the Hello with Botanicals diecuts. 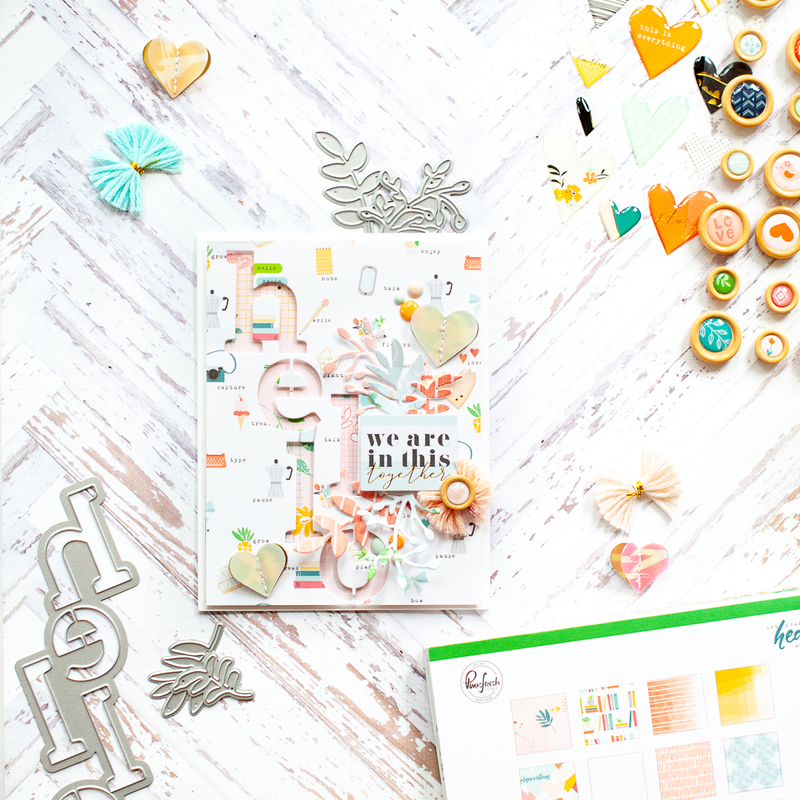 I channeled my past scrapbooking style, and combined this awesome die set with the Pinkfresh Studio Let Your Heart Decide paper collection. To start, I mounted a block of pink patterned paper cut slightly smaller to a white A2 card base. 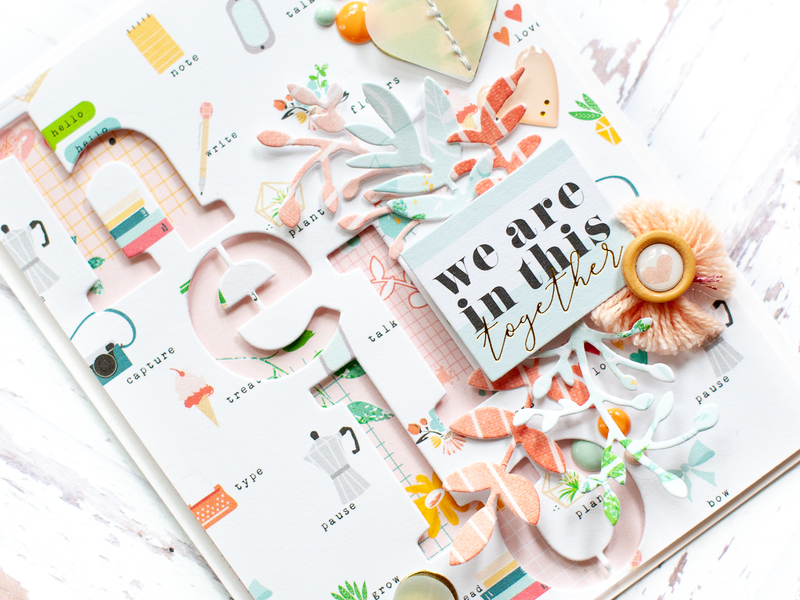 I diecut the word hello from a patterned paper block that was cut slightly smaller than an A2 card. 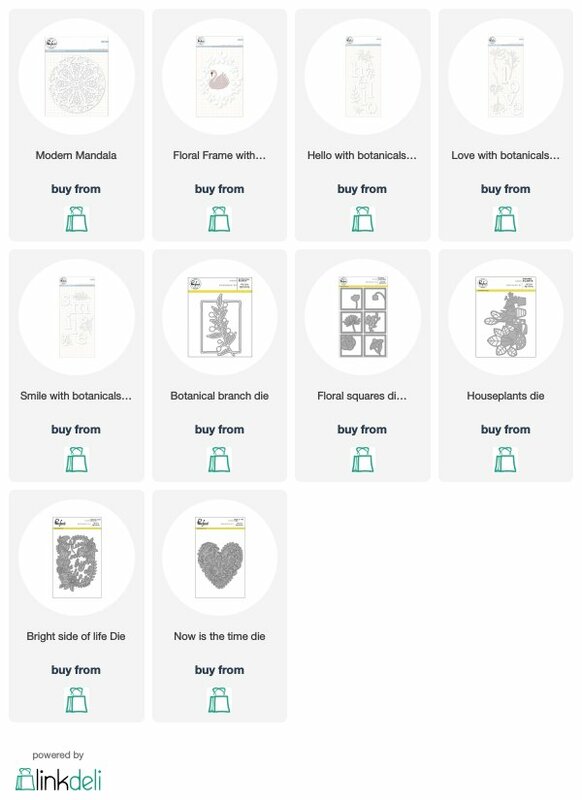 I also diecut the botanicals from matching patterned papers. Then I adhered the diecut paper block to the card front with foam adhesive. I used a cardstock sticker for the second part of the sentiment, and adhered it to the front with foam dots. 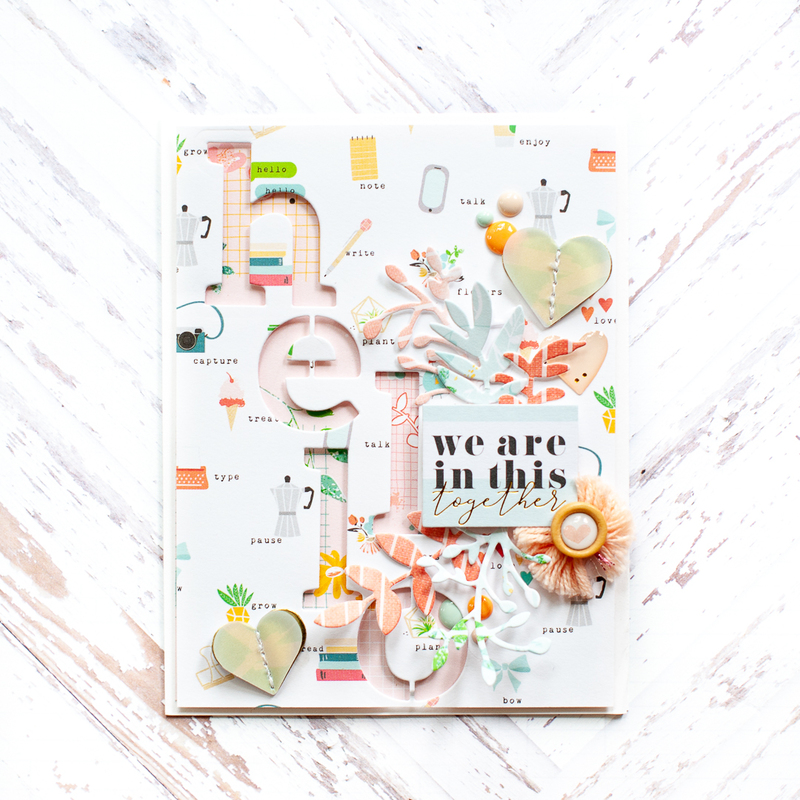 Then I adhered the diecut botanicals around it, and finished accenting the card with a tassel bow, wood button and enamel dots! 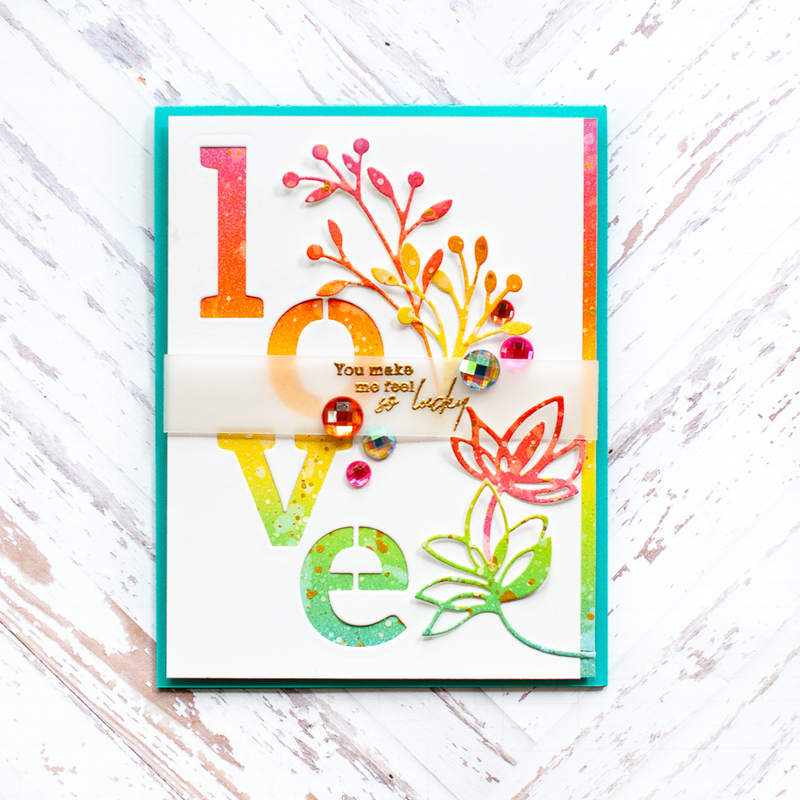 Up next is my card using the Love with Botanicals diecut set. 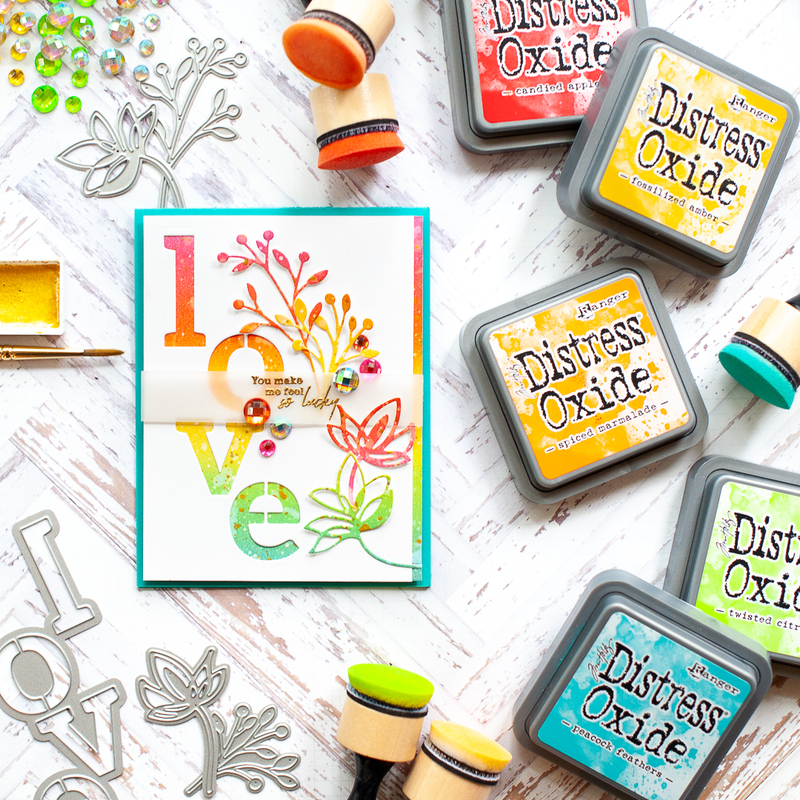 I went back to my stamp style for this one, and blended a background with some of my fave oxide inks! Initially this was going to be a rainbow, but I ran out of room for the purple...but I actually think it looks better this way! To start I blended the background with oxide inks in the following colors: Candied Apple, Spiced Marmalade, Fossilized Amber, Twisted Citron & Peacock Feathers. Then I spritzed it down with some shimmer spray, and flicked gold paint splatters to it. While it dried, I diecut the word LOVE from a block of white cardstock. Then I diecut the botanicals from the ink blended background, keeping in mind where it would peek through under the word love. Then I layered both blocks to an aqua A2 card base with foam adhesive. I stamped & heat embossed the rest of the sentiment in gold to a strip of vellum, and adhered it across the middle. Then I layered the botanical diecuts to it, and accented with my signature jewels tucked here & there! 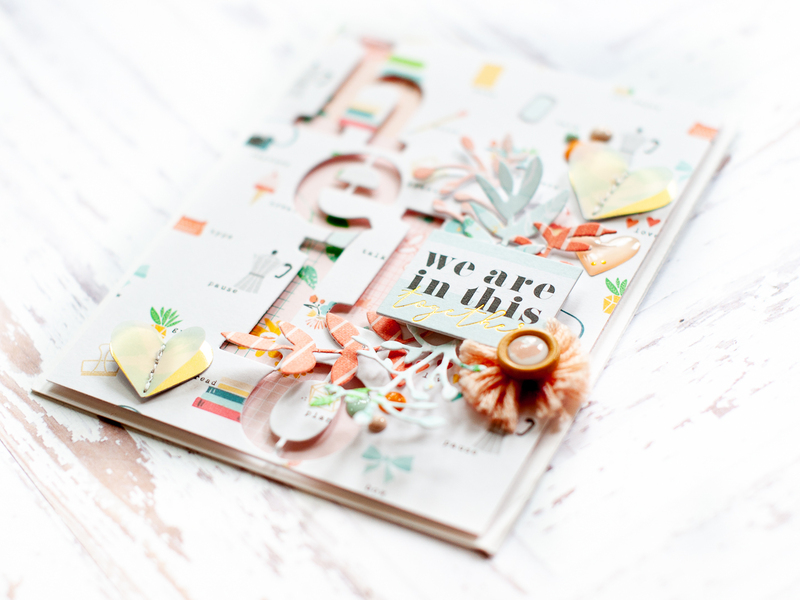 And finally I created this one using the Smile with Botanicals diecut set, and paired it with a sentiment from the Let's Flamingle stamp set. 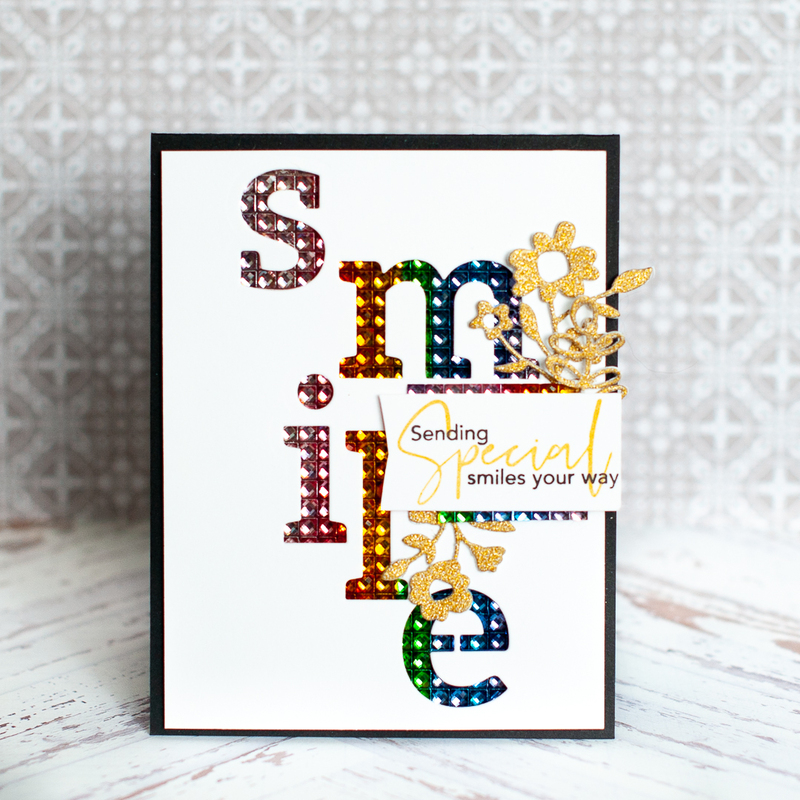 To start, I diecut the word smile from a white cardstock block cut slighty smaller than an A2 card. Then I adhered it over top of a rainbow bling sticker sheet to the front of a black A2 card base. And because I always get asked - no, I did not arrange all of the jewels. This is one big sheet of rhinestones arranged in rainbow order. 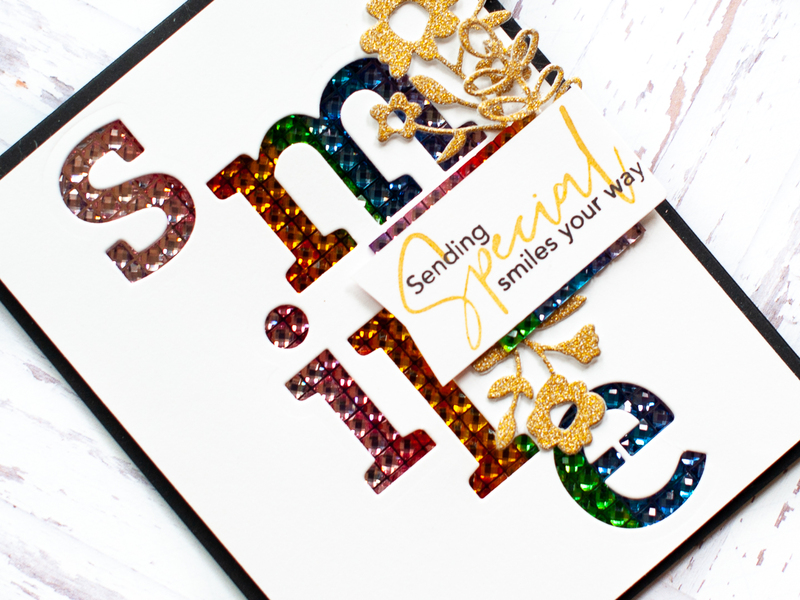 I just love the look of the jewels peeking out from behind the letters, and I do this technique a lot with word dies! Next I diecut the botanicals from gold glitter paper. Then I stamped the sentiment to a white cardstock strip in black & gold inks, then cut a banner edge to the left side. I adhered it to the card front with some foam dots, then tucked the botanicals in here & there. 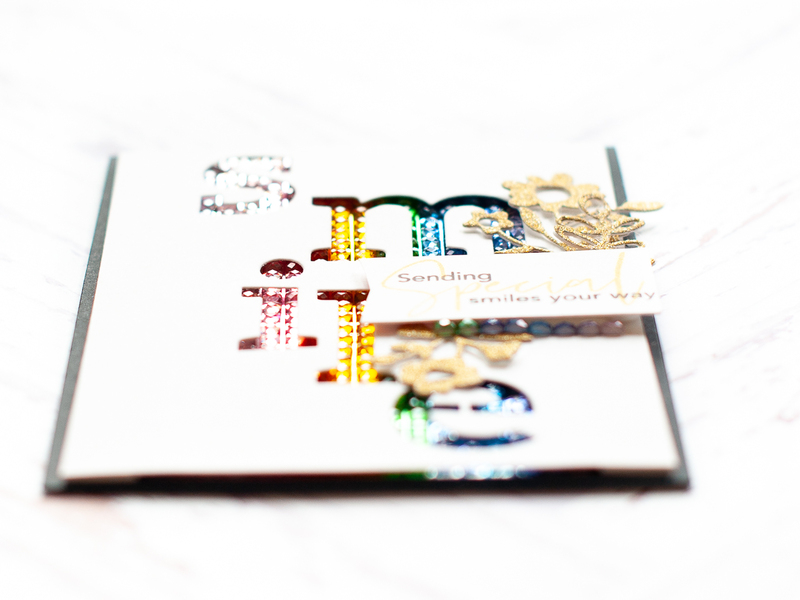 Finally, I added a small strip of rainbow jewels tucked under the bottom of the sentiment strip. 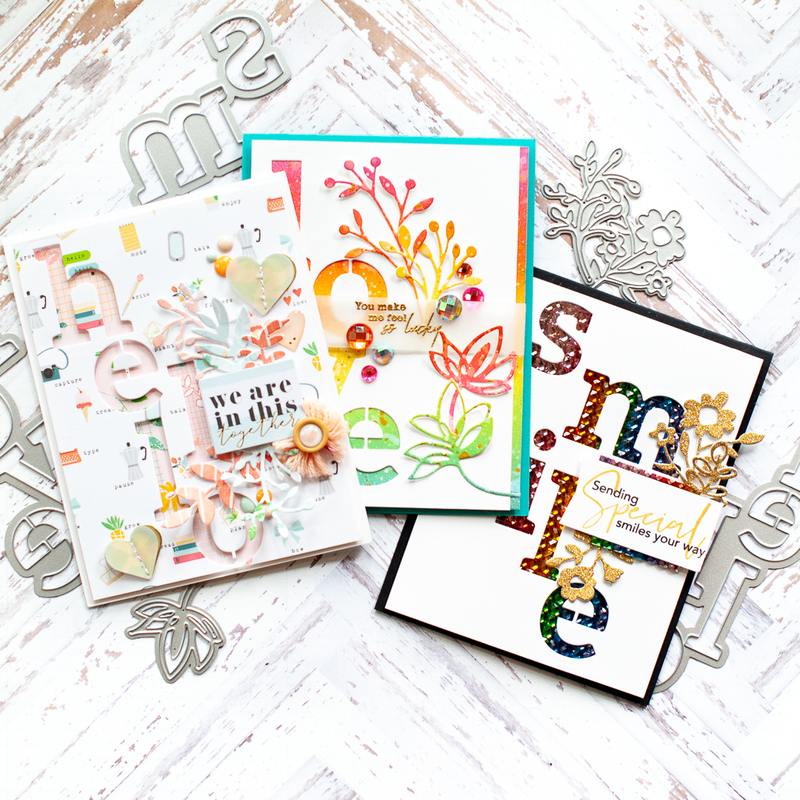 I hope you liked those three cards using the words with botanicals dies from Pinkfresh Studio! Be sure to head on over & shop the Weekend Promo section before it ends! Before you move along, I wanted to invite you to follow me on social media. I hang out on Instagram a lot, and share my work in progress in my stories...along with REALLY cute photos of my dogs! :) Plus, I just started a YouTube channel, and while there are only a few videos right now...I will be adding new content consistently! Have a wonderful rest of your Saturday! This is so elegant and beautiful I love it. Oh wow, these are fantastic! They are all lovely cards Lea! 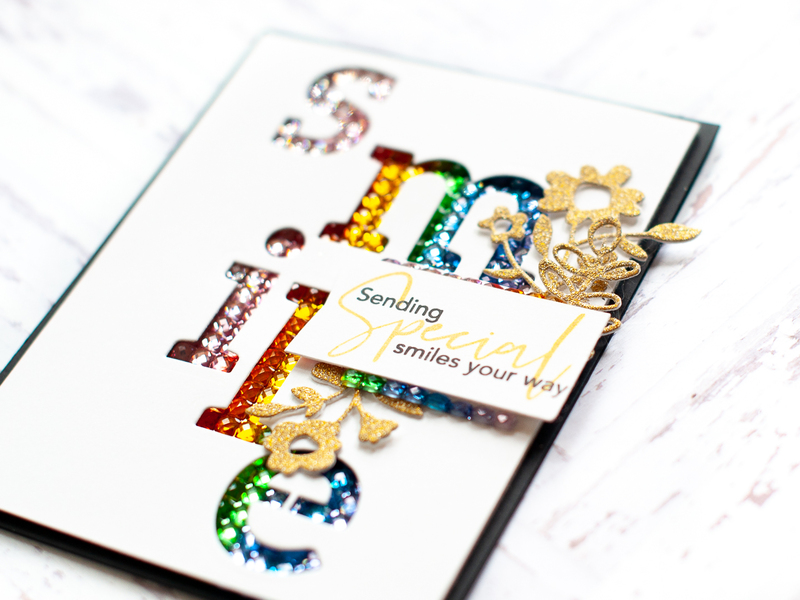 I love the shine of the rainbow toned jewels through the die cut what a fabulous way to highlight the letters. Thanks for joining us at Just Add Ink this week. 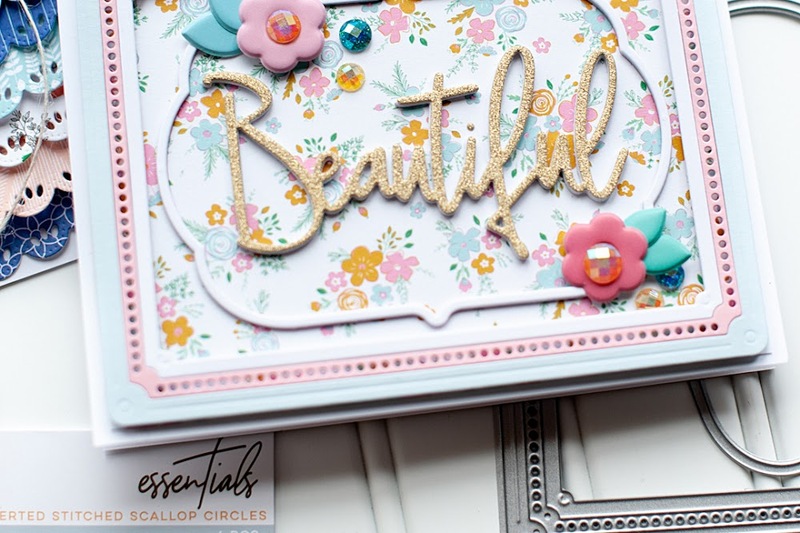 Three fabulous cards, Lea! I love how the shine of the jewels accentuate the colours. Thanks for sharing with us at Just Add Ink this week. WOWZERS! These are amazing!!!!! I love all the details and dimension. You have added so much texture to each of these cards. I'm blown away. 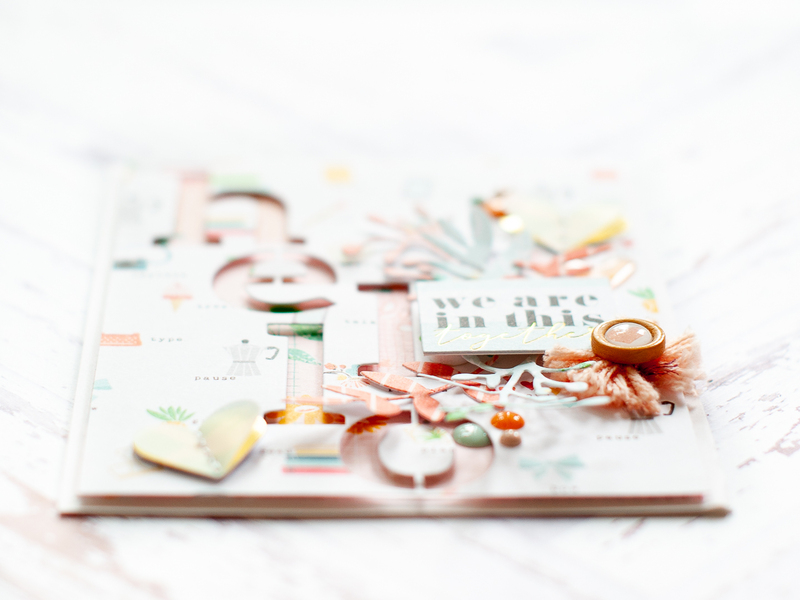 I can't wait to check out your other projects and follow all your social media! 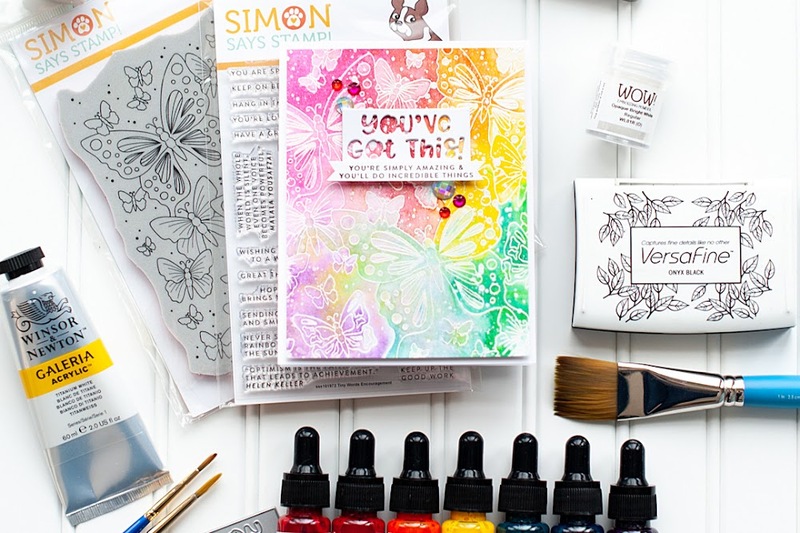 :) Thank you so much for joining us at Simon Says Stamp Wednesday Challenge -- Good Luck! 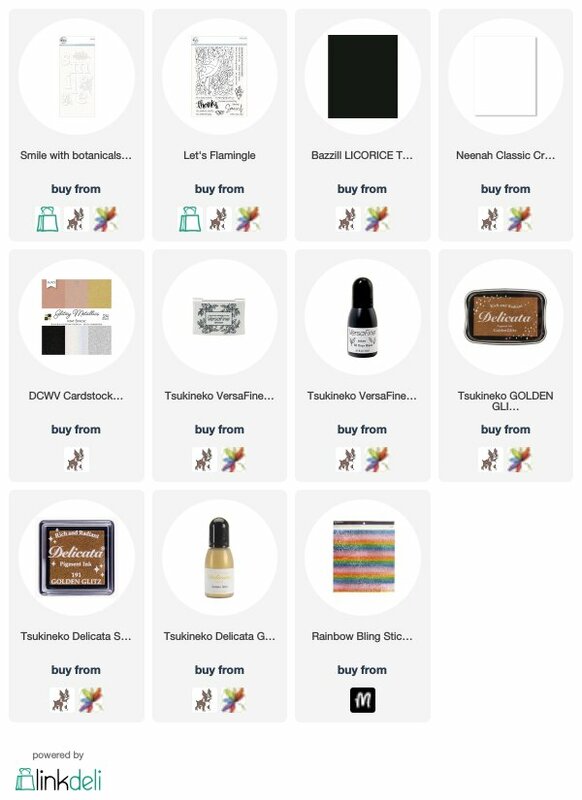 All amazing cards, Lea. 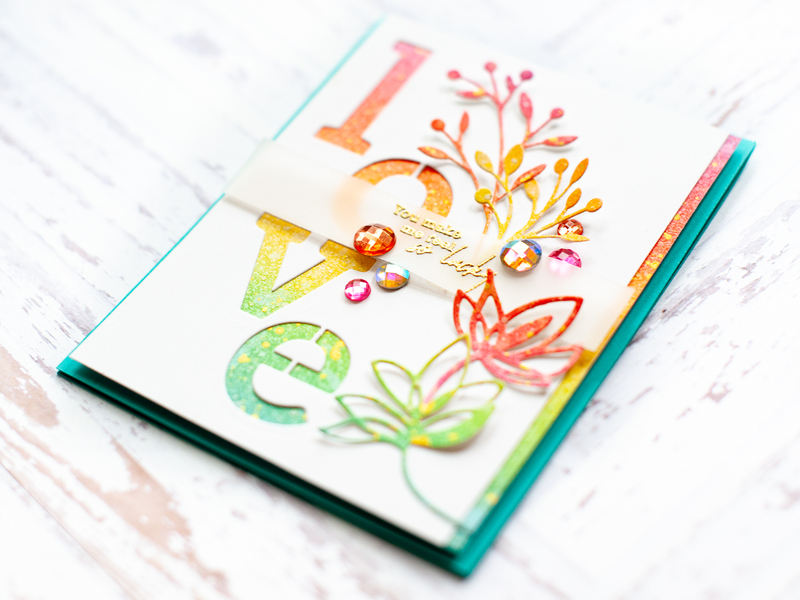 Love all the different ways you have used the dies, especially your rainbow jewel background - so much texture and colour! 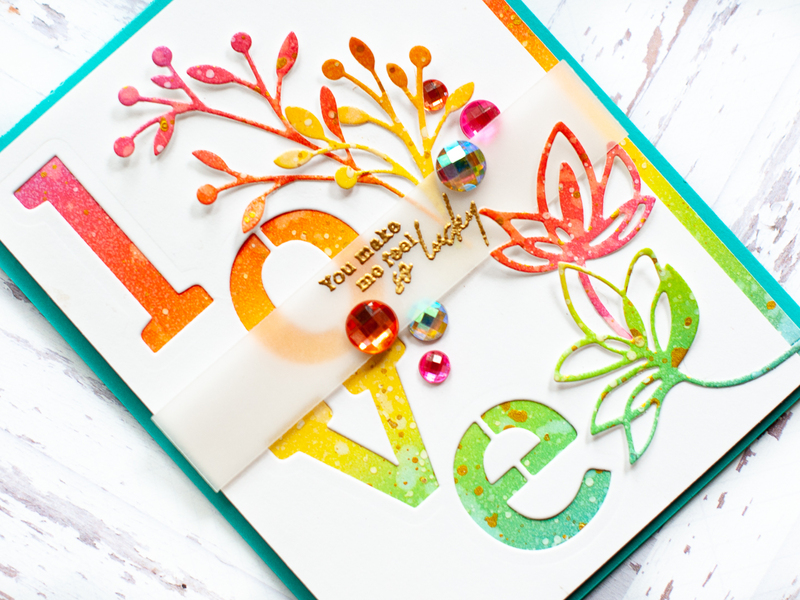 Thanks for sharing your wonderful creations with us at Just Add Ink this week. What a really cool way to use the negative space from your letter dies. I like the placement of the letters and how the patterned paper pops up under that white. 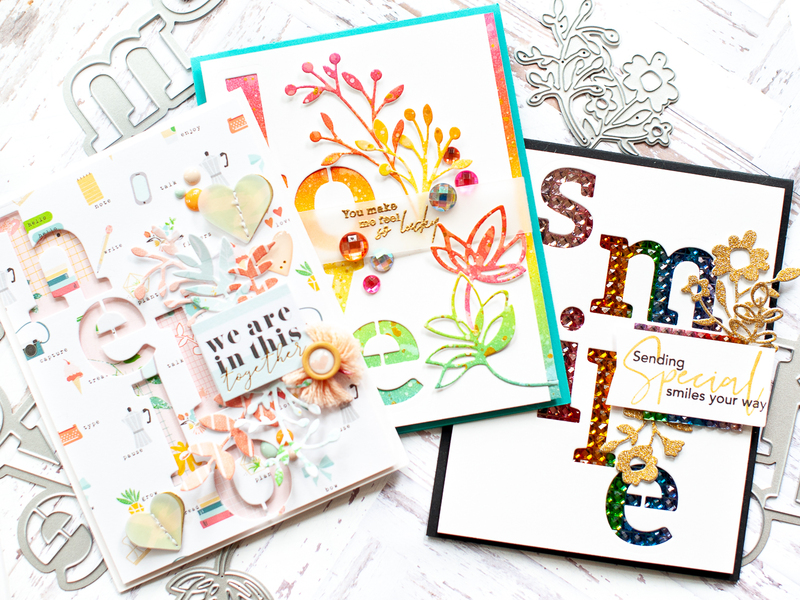 Fabulous dies and terrific card creations.. love the simplicity of the smile one!